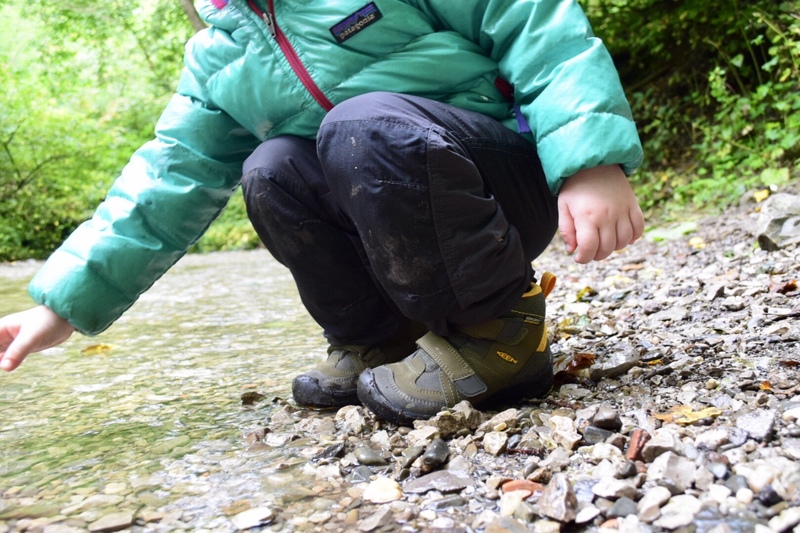 Available in both the Little Kid’s range (UK size 7-12) and the Big Kid’s range (UK size 13-6), the new Keen Hikeport mid boots are the brand’s latest flagship offering for kids that hike. Given the sizes in the Little Kid’s range this means that this particular boot will cater for kids aged 2+. For me, this is a huge positive. I’ve said previously that wellies are great in certain circumstances. However, if you want to go for an actual walk or a short hike across varied terrain, your kids deserve something more supportive and protective. The last thing you want is a very young child being put off the outdoors for a period because of an easily avoided twisted ankle. Many people will argue that kids this young don’t need outdoor boots because they don’t walk far enough to warrant them. These people clearly haven’t met my 2-year-old daughter! 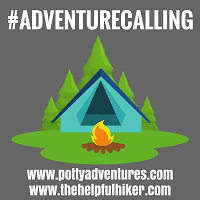 Moreover, with modern carriers giving us parents the ability to hike with kids like never before, it’s now more possible than ever to transport them to all manner of hiking trails and terrains. Consequently, they’ll want to get out of the carrier and explore the world around them. This is, of course, great but you need to ensure that they have the footwear to cope with these more challenging landscapes and adventures. 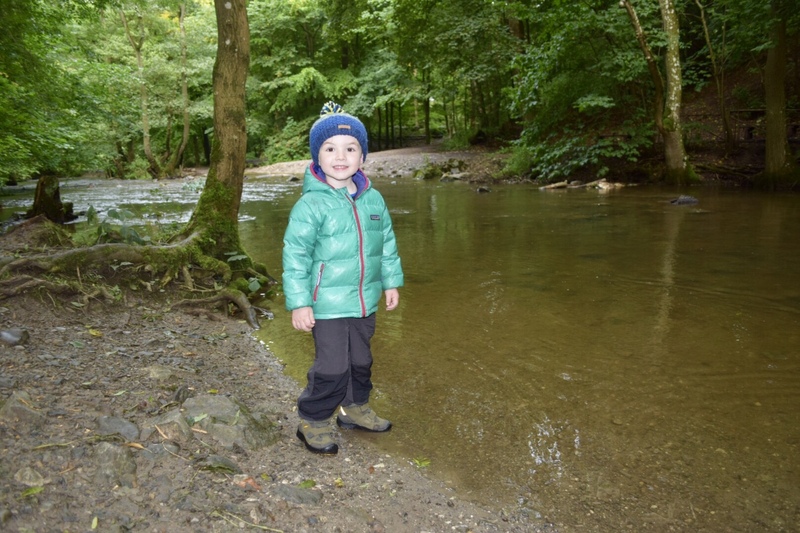 So, with the autumn weather suitably changeable, we set off to really test the new Keen Hikeport mid boots. The first thing that we noticed straight out of the box was the weight. These are pretty light given their bulky appearance. 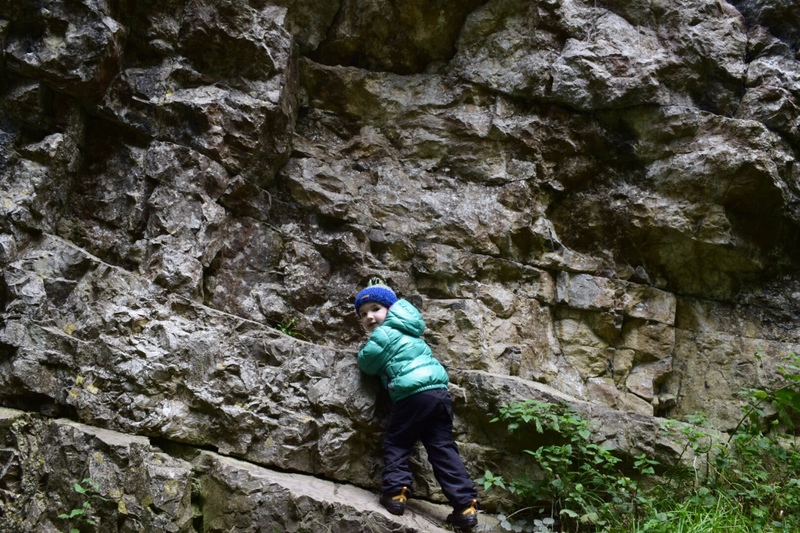 Little legs tire easily, and small rocks appear like giant boulders, but our toddler was as nimble and energetic as ever out on the trail. 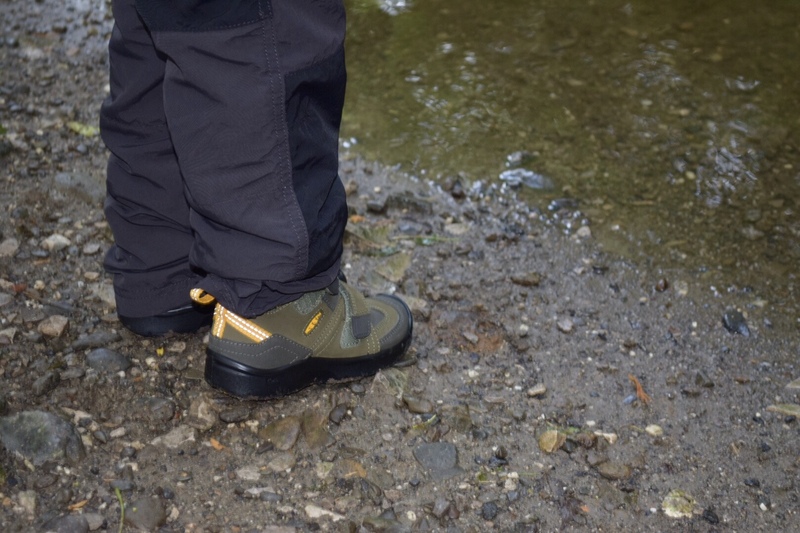 Despite the Keen Hikeport mid boots being lightweight, they’re not light on features. Starting with the waterproof leather uppers, these are a boot that will serve you well through autumn and winter. Having good quality leather uppers means they’re robust enough to cope with the rough and tumble that kids dish out. Obviously, as with any leather hiking boot, they’ll need a bit a TLC from time to time to ensure their longevity and performance. By making sure that any dirt is brushed away when they’re dry and applying a quality wax or conditioner, these boots will be as good as new when you’re ready to hand them on to a younger brother or sister. In fact, our eldest’s first leather Keen boots are in such a good condition that we’re waiting for our youngest to grow into them. Given how much hiking he has done in them, it’s a great testament to the quality of the brand. Inside the boot is a removable moulded EVA footbed. This provides all important arch support for little feet as they begin to crank up the mileage outdoors. Furthermore, the Cleansport NXT™ ensure that stinky feet are kept to a minimum – a huge bonus given the fact that Jesse’s often resemble decaying cheese. 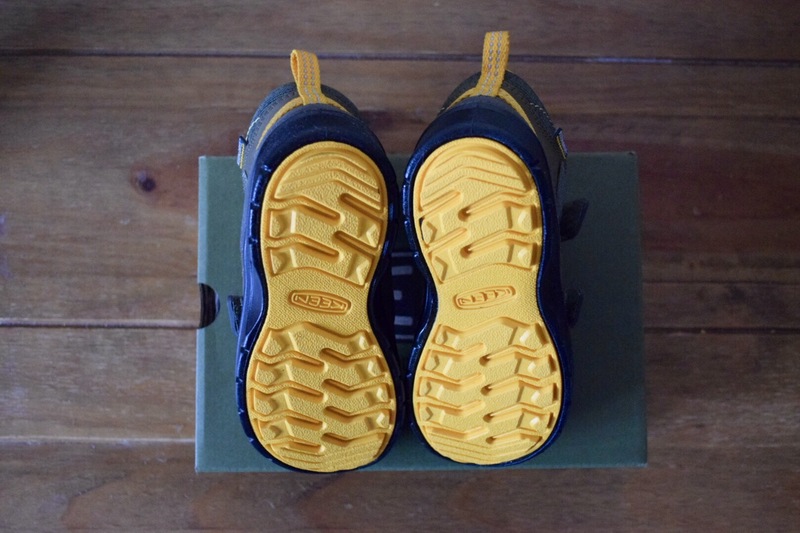 Lastly, the extra padded tongue ensures great levels of comfort and keeps regular trail debris out of the boot. 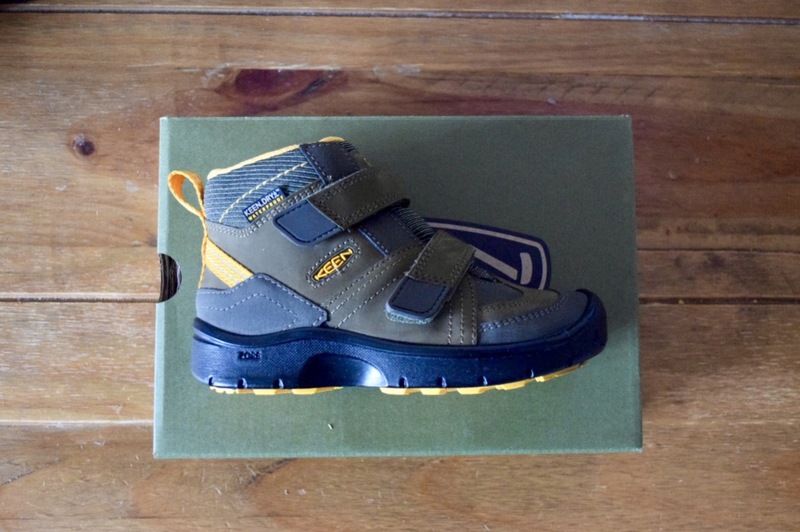 Overall, the Keen Hikeport mid boot are an exceptional outdoor boot for kids. Keen, yet again, set the benchmark for toddler’s outdoor footwear. Despite not being pushed by a rush of other brands keen to share the spoils of the children’s market, they continue to push themselves. They come in a range of fastenings and size options to suit varying ages and abilities. Jesse, for instance, loves the fact that he has the Velcro version as he’s able to fasten them himself and feel like a big boy. Importantly, they’re also available in a variety of cool colours. They aren’t cheap but then quality doesn’t come cheap. 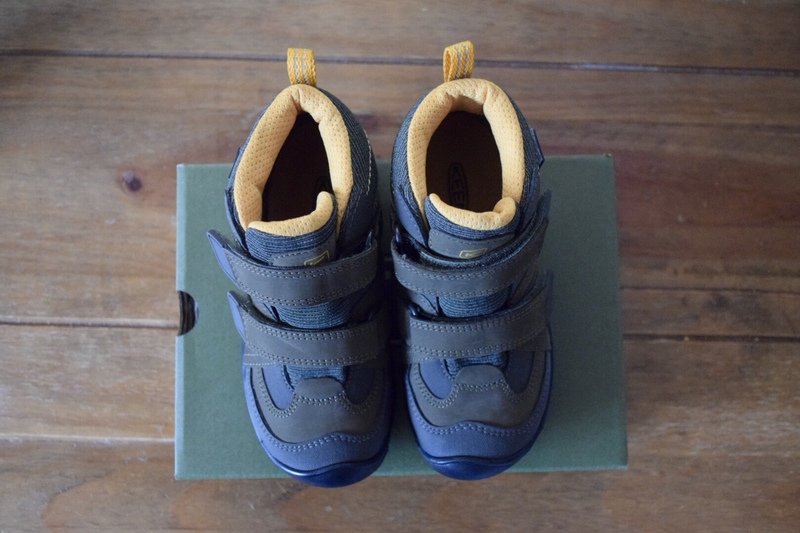 Consequently, for the foreseeable future, Keen will definitely be our go-to brand when it comes to outdoor footwear for our two little explorers.